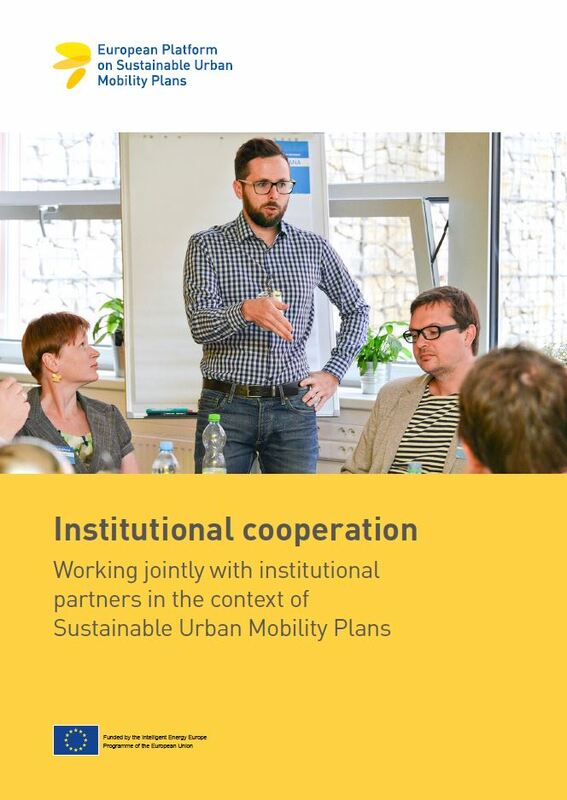 The Institutional Cooperation Kit supports mobility practitioners in improving geographic, political, administrative and interdepartmental cooperation in Sustainable Urban Mobility Plan (SUMP) development and implementation. It provides practical advice on cooperation frameworks, managing SUMP partnerships and agreeing on responsibilities for SUMP delivery. Online learning course: an interactive e-learning course inviting interested mobility practitioners to learn more about institutional cooperation at their own pace and from anywhere in the world. The e-learning course can be taken at the Mobility Academy. The Institutional Cooperation Kit has been developed in the CH4LLENGE project, which is co-funded by the European Commission’s Intelligent Energy Europe Programme and has the overall aim to facilitate the take-up of SUMPs throughout Europe.